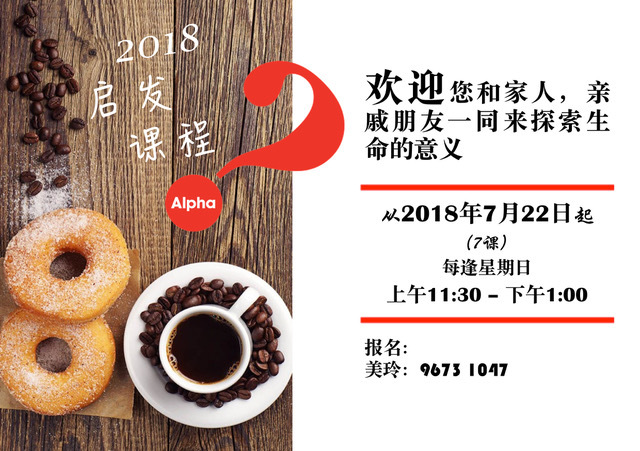 We have an Alpha course conducted in mandarin, starting 22 July, every Sunday. Registration is now open. For more details, contact church office at 68874812.